Has someone ever hurt your feelings? Have you ever been offended by someone’s words or actions? And have you ever felt justified in your hurt to be angry? That it was their wrong and they need to change. I’ve been there. I think most people have. And you can respond in 1 of 2 ways. You can be upset. You can allow satan to take that offense and twist it with some truth and lies and create one major wedge between you and said offender. You can “write them off” or ignore them. You can focus on all the things they do wrong and grow bitter, resentful, even hateful towards this person. But let me pose this question, where will that get you? If your response is unforgiving you will stay bitter and resentful which only causes yourself anguish and stress. So I guess it does get you somewhere, but is that where you want to be? Job 5:2 To worry yourself to death with resentment would be a foolish, senseless thing to do. Resentment is not something that Jesus promoted. Actually it was the exact opposite that Jesus advocated. We are told countless times through out scripture to forgive. Proverbs 10:12 Hate stirs up trouble but love forgives all offenses. That brings us to love. If you love someone you’ll forgive them. And loving people is not an option y’all. 1 John 4:19 We love each other because he loved us first. And Jesus makes it clear that its not just the ones who are easy to love or deserving of our love. Luke 6:32 & 35 If you love those who love you, what credit is that to you? For even sinners love those who love them. But love your enemies, do good to them, and lend to them without expecting anything back. I emphasized that last part because I think it’s important to apply not just in terms of “lending”. I believe we should always love without expecting or requiring reciprocation. Remember our example is the cross. And let me be clear, I am talking about being forgiving of the petty things satan uses to cause dissension among family and friends. I am not addressing urgent or dangerous grievances. For example, if someone is being offensive with behaviors that put you, them or anyone else in physical or emotional danger, or an illegal situation. That most definitely requires professional help. Recently I got my feelings hurt. I began to discuss the offense with a few people. The more I talked about it the angrier I became. The talking became gossip. Luckily for me, I finally gossiped to the right person and was given counsel I wish I’d have considered on my own. My mom told me to forget about it and pray. When I took this approach this is what God spoke to me. Proverbs 17:9 Whoever overlooks an offense fosters friendship, but whoever gossips about it separates friends. Proverbs 19:11 Insightful people restrain their anger; their glory is to ignore an offense. Psalm 139:24 Lord see if there is any offensive way in me and lead me into the way everlasting. Me: But Lord it is so tiresome trying to love someone who continually says and does things that are careless and hurtful. God: I understand. It’s what I experience every time you grieve me and sin. But I still love you. You aren’t perfect, you make mistakes, but I have always LOVED you. Even to the point of death on a cross, I have loved you. Psalms 103:10 He has not dealt with us as our sins deserve or repaid us according to our offenses. And in case you forgot what love is my child…..
1 Corinthians 13 (The Message) Love cares more for others than for self. Isn’t always “me first”. Doesn’t keep score of the sins of others. Is not resentful. Trusts God always. Always looks for the best. I’ll close this blog with the lyrics from Matthew West song Forgiveness. You may have noticed that I “posted” a blog and it was super short and quickly disappeared. Total accident. I don’t know how I ended up “publishing” it before I was done but I did. A few blogs ago I posted about serving others, being available, and how God was giving me opportunities to become more like him in the area of servant-hood. This has continued and intensified. But in a good way. 🙂 After watching the boys for over a week and flying home to be with family after Grandmother passed away, I had the privilege of jumping into Surge, our churches version of VBS. It is a week-long evening sports and arts camp. Some how, without dropping names 😉 I was convinced to help with Cheer-leading. I assumed that I’d just be a little helper, not really needing to have personal experience with cheering. Upon arriving at Surge Nicole and I were made aware that the “coach” for chants and cheers was unable to participate for the week and they needed us to lead the girls. We literally had no plan. None. Nunzo plan-o. And there wasn’t like a “master plan” to speak of. We’re finished. These poor girls. I started to sweat and freak out a little in my head. Lets face it. 6 year olds are intimidating. As are 7,8,9,10, and 11 year olds. Girls. Girls are intimidating y’all, I don’t care what age. You’re 6 I’m 26, whatever, you still make me feel like I’m back in school wanting approval and admiration. Did I mention yet that I have absolutely NO cheer-leading in my background except when I DIDN’T make the squad in middle school. Talk about bitter feelings rising. Poor Nicole had to show me how to bounce, clap, and smile all at the same time. Not only did she have to teach a bunch of elementary girls but she had to instruct her partner as well. Sorry Nikki. You are the bomb. So we had 15 minutes to come up with something. Nicole pulled a couple chants out of her pocket because thankfully she DID make the squad and had cheered in high school. But lets face it, even as youthful as Nicole is it’s still been a little awhile 😉 We don’t know all the “new” stuff. Whatever, we’re at a disadvantage here. We really were slightly amused by this whole scenario. I mean it is definitely hysterical to think that they put someone like me in charge of teaching girls how to cheer. Thank goodness I had Nicole. Let me speed this story up though otherwise we’ll be here all night. To give you an idea of how things were going, by Wednesday we had cheer-leading bows in our hair….. you know, compensating the lack of cheering ability with spirit. The girls LOVED it. There are few compliments quite at awesome as an eight year old telling you “I like your hair!” We got spirit yes we do! Not only that but the lady who heads up the whole Cheer-leading division of Surge was just ecstatic over how WELL we were doing with the girls. I mean, she just thought we were amazing. She couldn’t believe I had never cheered (guess it was hidden deep within. Darn you Pine View for never allowing me to spread my cheer wings!) and she was amazed that we came up with all our material in a matter of hours. She wants it printed out! That is if she can’t have us next year. What a compliment! And I can not tell you how faithful God was to reveal himself at work. Those girls,…. 😉 they were a delight to work with. I saw one at Chickfila and she was thrilled to see me (and I her!) I mean it’s just so sweet to know you are making little eternal deposits in lives of our young ones. That is where it’s at y’all. I don’t care how frantic or nervous or unplanned it was, we trusted and HE prevailed! It was totally worth every minute! I also got asked if I went to High School where we were holding Surge. Thank you my sweet little cheer ladies! Okay so, obviously Surge was awesome. I share that story to encourage y’all to just get in anywhere you can serve. It really does bless you. The more I serve the more I WANT to. I have found myself just thinking about it all the time. Thinking about “What can I do for someone else?” Whether it’s my husband, family, friends, or strangers, serving others is gratifying in a way that serving yourself never will be. It’s true that the more I sew to the Spirit the more I desire the things of the Spirit. Anyway, let me give you a quick update on where we’re at in our Faithbridge process. We had 2 home visits with 1 to go. We will have this last 1 when we return from our restful vacation that we are on right now. Truly we are abundantly blessed and don’t deserve it but oh Lord how we thank you for these awesome gifts. Love all of you! And now I am going to enjoy my family and this opportunity to be at the beach God has provided us. Thankful to the Giver of all things. My Grandma White passed away. This was taken about a month ago, so glad I have this beautiful picture of her. 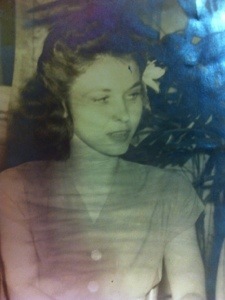 My dads mom, Helen Virginia White lived till she was 92. We knew it was getting close, her health had really been deteriorating the last year. A couple months ago they found cancer in her hip and it rapidly spread. She was ready to go home. She told my dad that she just wanted to see Jesus. 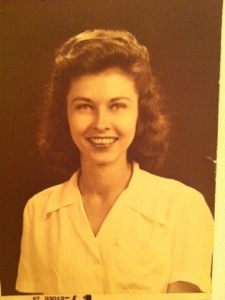 I want to precede this with, I could never have enough time to share everything that was so wonderful about my grandma. As I was writing this and proofing it every time I would think of one more memory or quality or characteristic that was so defining of my grandmother. 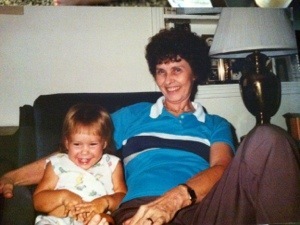 She was an amazing woman and impacted my life greatly. Some of my fondest child hood memories are with her. My brothers and I were at our grandparents house a lot. We loved going there! When I was young I just remember getting excited to watch Nickelodeon because they had cable! And of course they always took us for ice cream at Bo’s and donuts at Krispy Cream. My grandmother and I had a lot of one on one adventures though. 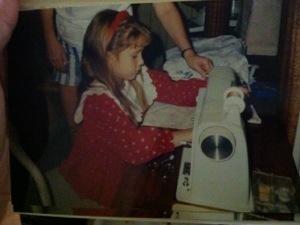 We spent a lot of time sewing together. First it started with clothing for my dolls and then it graduated to clothing for me. We made some really sweet vests and some even more awesome costumes. 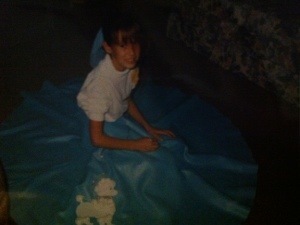 In 5th grade she made me a really cute poodle skirt. 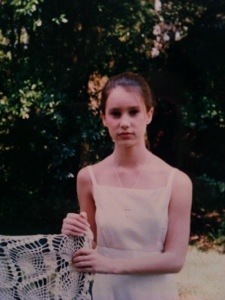 Had it not been for my grandma I would never have realized my dream of being Buffy the Vampire Slayer. I know, for those in my generation, I am sure you are laughing hysterically. My grandma used to take me everywhere. I went to Mississippi with her and grandpa. She would take me on some of her home health care visits. Which was, at points, kind of scary for me. She also took me and we’d get our nails done. I was in 4th grade and had acrylic nails with some fancy airbrush designs. And if you think that was too much, grandma also took me to get my belly button pierced! Grandma just did not get wrapped up in what people thought. 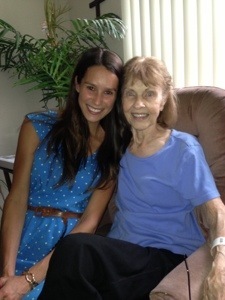 And if you know me even a little, you know it was good for me to spend time with this strong decisive woman. Our other favorite past time was going to the movies. Now here’s where Helen may or may not have used appropriate judgement in terms of flick pick. We’ll just chalk it all up to the simple fact that she knew I was mature for my age. 😉 Grandmother and I both had big crushes on Leonardo Dicaprio. We saw Titanic 4 times together in the theater. 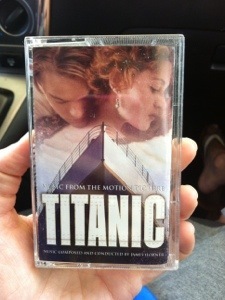 Found this cassette in her drawer at the house, pretty much awesome. Our crush did not stop after that. No, we HAD to see every Dicaprio movie that preceded it. We saw a number of other Oscar winners. I say that with complete sarcasm. Anyone familiar with “There’s Something about Mary” and “O”? Completely appropriate for a 12 year old. Again, grandma recognized my advanced maturity lol. Grandma and I just had a really special relationship that was built around mutual respect, esteem, and trust. We both thought highly of each other and enjoyed each others company. I know that some of the better qualities I possess are a direct result of spending so much time with her. She was an incredibly strong and beautiful woman. She was so smart and sharp. She was also firm and unwavering in what she believed. She loved Jesus and believed and trusted His Word. I am glad to have had so many wonderful years with her that I will always cherish. Grandma taught me a lot of things, a lot of good things. But the greatest thing I have taken from all our adventures together is how to love people through spending quality time with them. It’s a big sacrifice to give your time and Grandma gave me more than enough. I love her so much and am grateful for all the love she poured into me. On the way to her service the Third Day song played Cry Out to Jesus. The lyrics really resonate in moments of grief or sadness. These lyrics specifically met me where I was this morning. To everyone who’s lost someone they love…. Thank you God for hope. I personally have such an amazing amount of peace about her death because I know “to be away from the body is to be present with the Lord”. 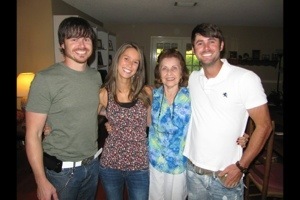 (2 Corinthians 5) Praying for all our family that they would find comfort and hope in our Loving God. Grandma knew where she was heading, to be home with her King. She was ready. Can’t wait to be with you again, rejoicing together with our Creator and Savior. 3, no 5, no 7….. s.e.v.e.n. Who started the trend of putting periods in between letters of words to emphasize the word? Jason has a really sweet girl that works for him. She was the 2nd gal he ever hired. She is a very hard worker. Which anyone who owns a business knows how difficult it can be to find solid, good, honest, hard working employees. We love her. She happens to be a single mom and is doing all she can to love and support her family. I really admire her. Usually her sister helps watch her boys after school or during the summer. Her sister though just had a baby. Due to complications they had to take the baby 5 weeks early. Not only was this a frightening situation for her sister and the baby but obviously our gal was worried about her kiddos and their care while she works to provide. When something like this happens I am compelled to help. Seriously, God has blessed me beyond measure, often through OTHER PEOPLE. My desire to do things for others legitimately comes from my love for Christ, because he has so lavishly loved me. It’s like you want others to experience that. So I told her not to worry, we would help as long as she needed. We knew Gods hand was in this. Jason and I discussed how she only needs someone through June and we had told Faithbridge we’d be ready (assuming approval) to start accepting children in July. He was working on our hearts and schedule and creating availability for us to meet this need with obedience, willingness, and love. From 3 kiddos to 5. Well then I start thinking. Her sister has 2 other boys. And obviously her husband needs to be with her and the baby while they are in the hospital. Who is watching their boys? So I asked….. I mean I used to say I wanted 7 children, here’s my chance. 🙂 But 7 would definitely require a plan. An itinerary. So I ran to the dollar general, loaded up on bubbles, chalk, water balloons, puzzles, ect. On my drive I prayed, “Lord, being available and willing is half the battle. (Actually….less than half!) I need power from your Spirit to enable me not just to babysit, (babysit ie: ensure everyone’s survival.) but God I want to care for these kids with love that points towards You! Make me slow to anger and abounding in love as You are. Help me to invest in these kids while I have them with all the grace and love that comes from You.” Then, I whipped up several PB&J’s just to have on hand. And I also wrote up a schedule. 1:51pm Monday. This is no joke the first time I have sat down. Not sure how long it will last. Our day has gone something like this. 8:00 the kids arrive. We finished up breakfast and I set them up with UNO and coloring books till it was time for Caleb to take his morning nap at 10. 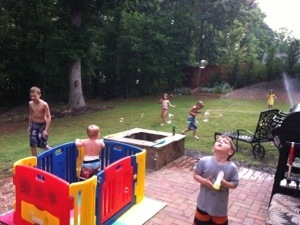 At that point I had “scheduled” our water balloon and sprinkler time. 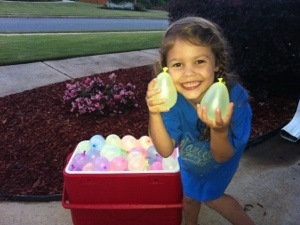 It was key to play games with the water balloons. Allowing a free-for-all makes the effort of getting the balloons and filling them up pretty much pointless. Google “water balloon games”and it will ensure your time and dollar goes further. We took a break at 11 and had lunch. Making all the sandwiches the night before was key! After lunch we played a few more games and then I let them loose to have their balloon fight. Within 27 seconds they were all exploded. The rest of our day consisted of indoor activities. Being available to be a servant. I ran across this quote and liked this take on serving. When Jesus came in the form of a servant, He was not disguising who God is. He was revealing who God is. Jesus calls us to servanthood not because other people need our service, it is because of what happens to us when we serve. Oh I pray that my availability and obedience to what God brings in my life would not only bless others and draw them closer to Christ but that it would change me. Every day I pray I would look a little more like Jesus. I know I am not perfect and inevitably I’ll make mistakes, but I get really excited thinking about being more like Jesus. This song just came to mind.